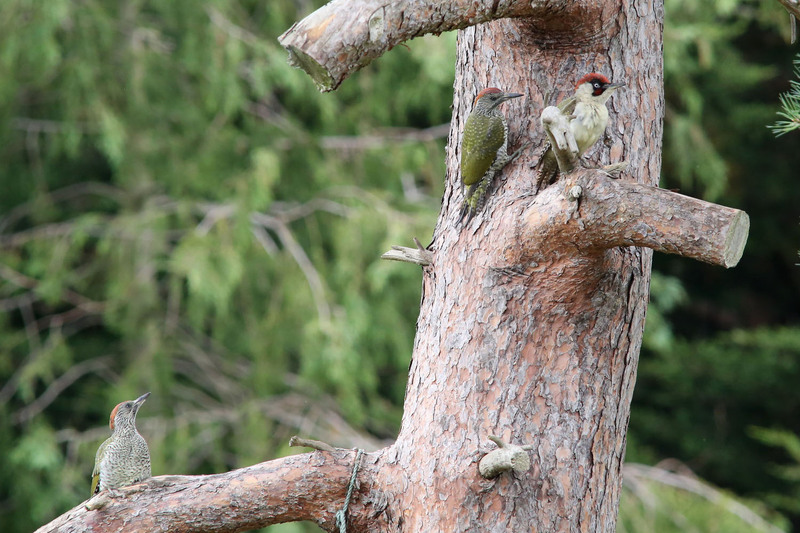 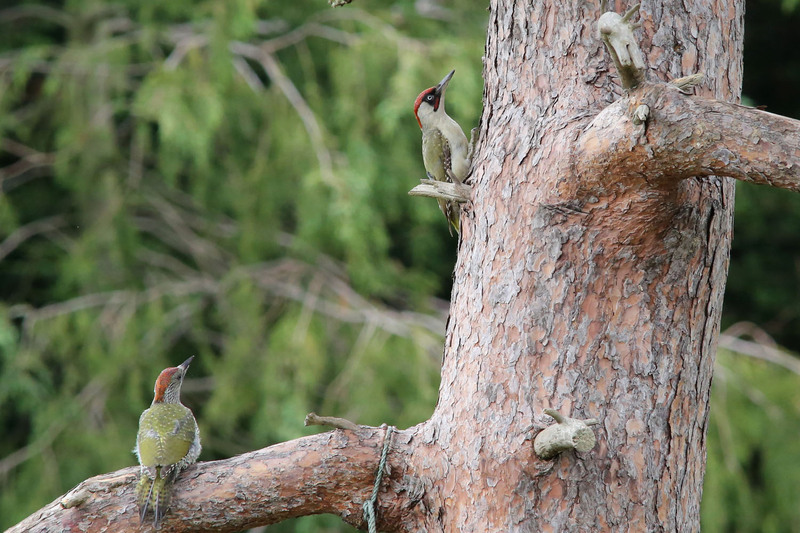 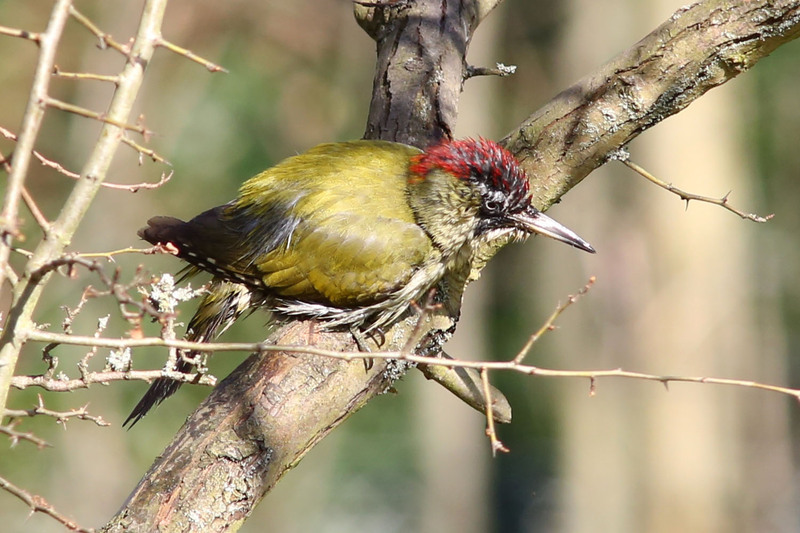 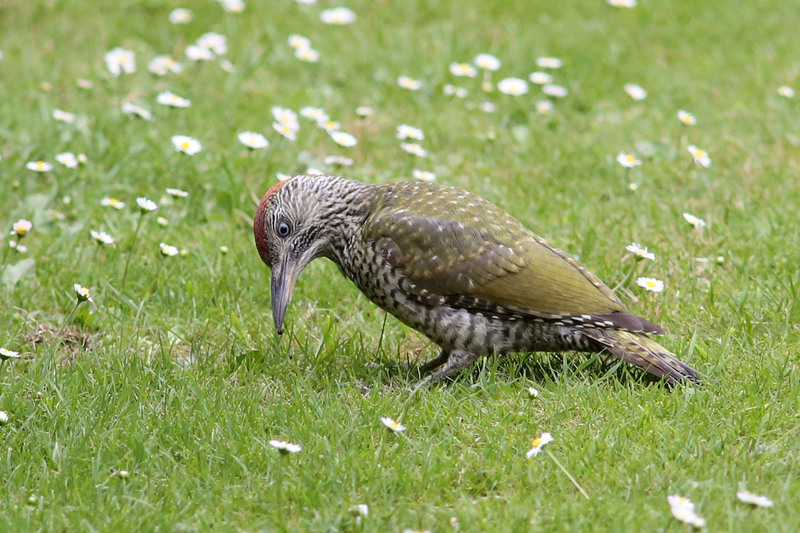 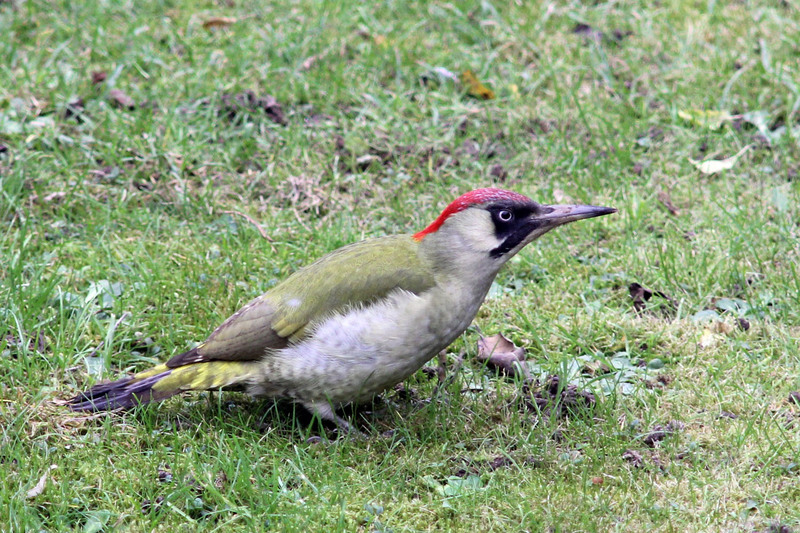 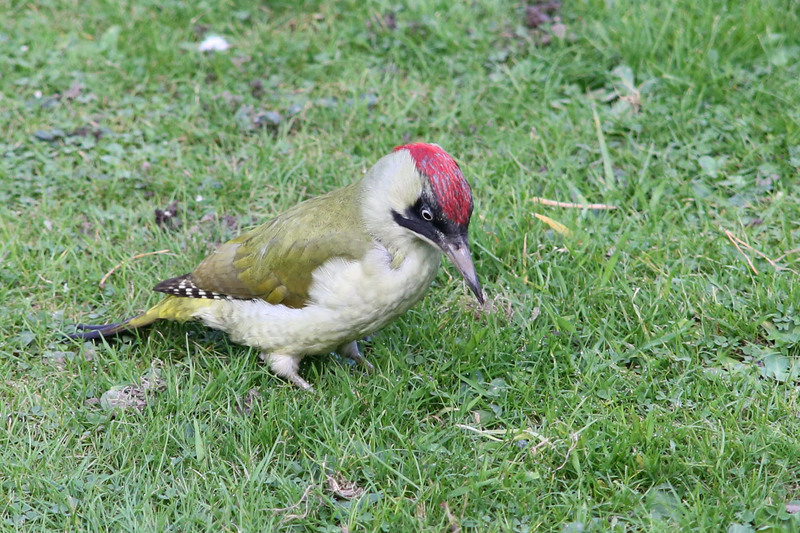 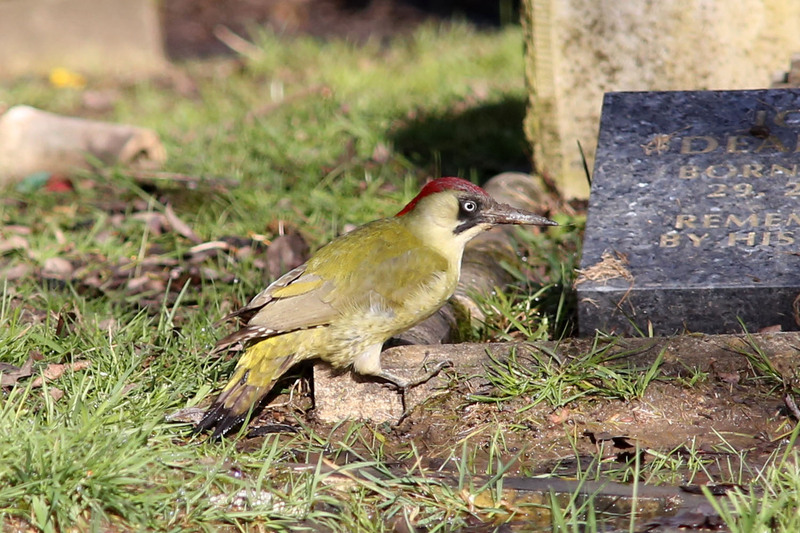 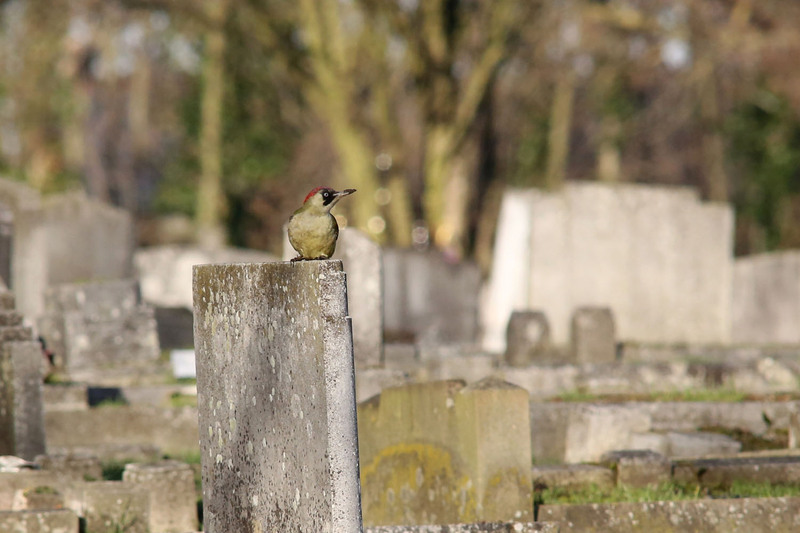 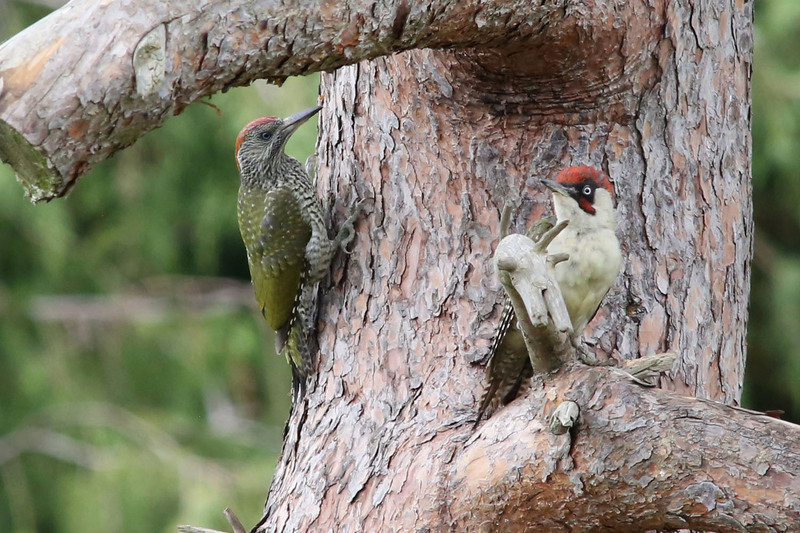 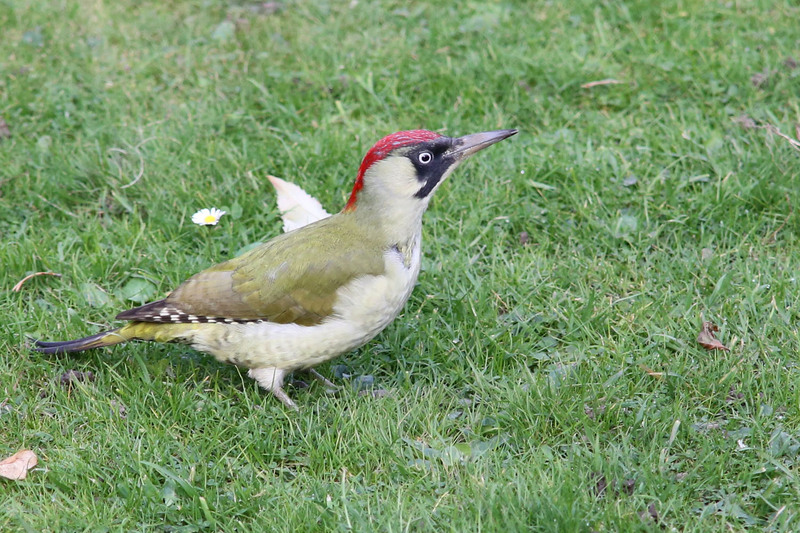 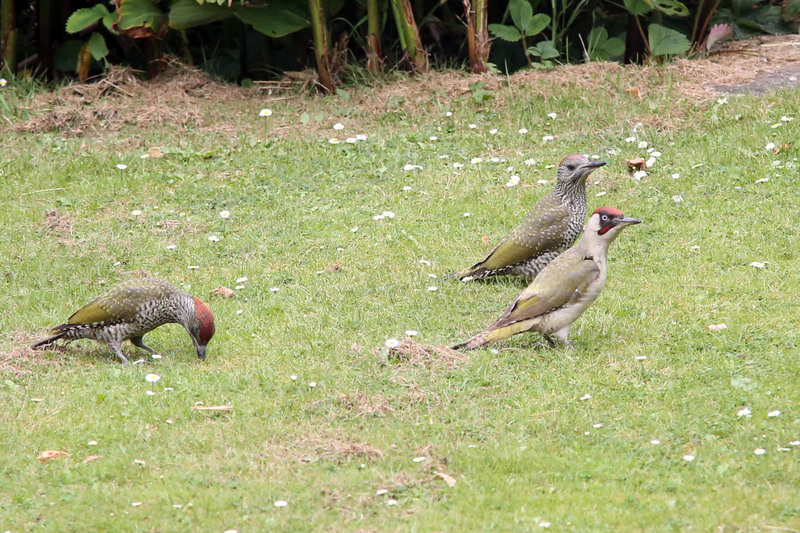 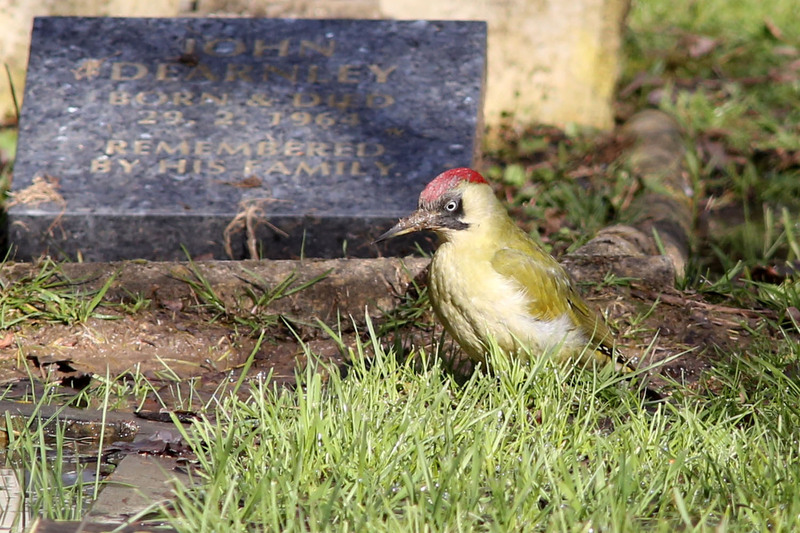 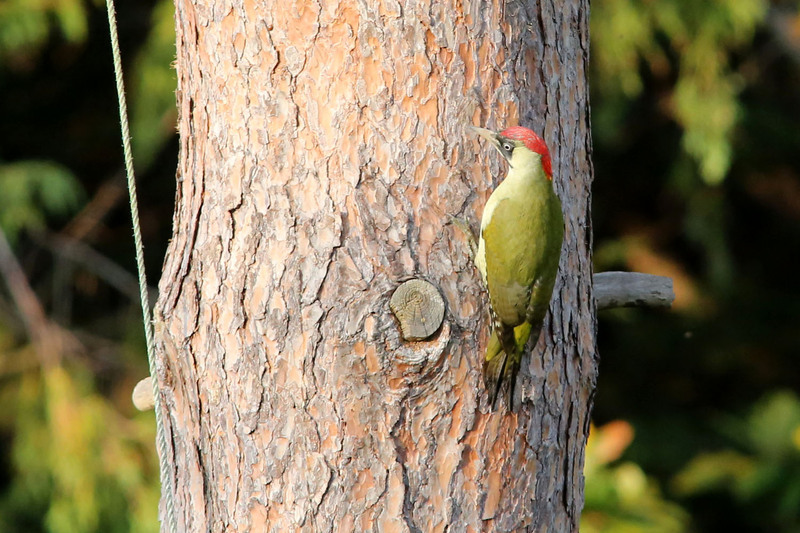 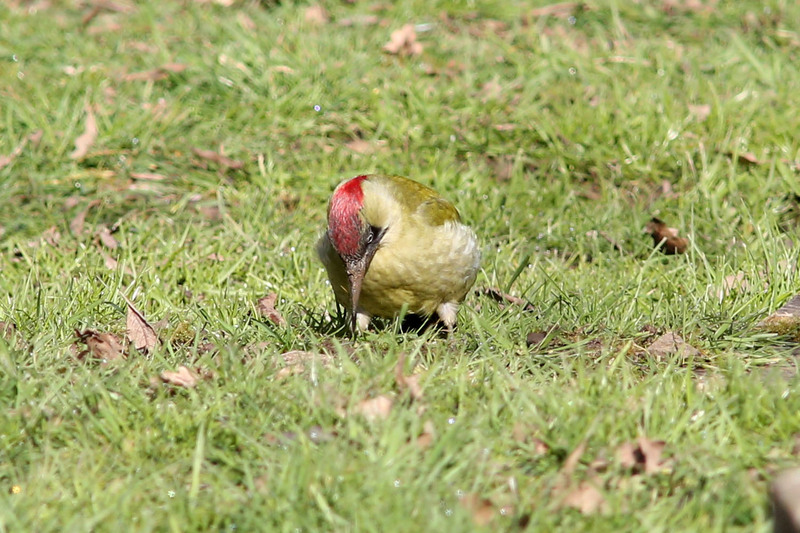 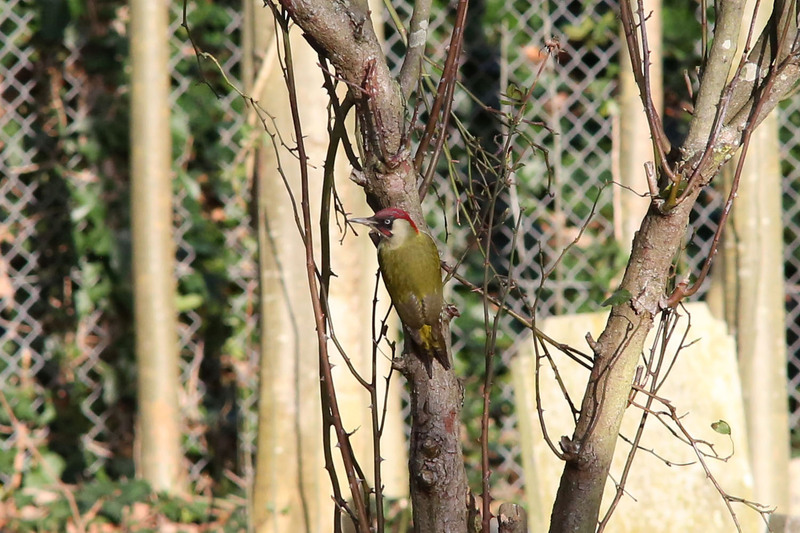 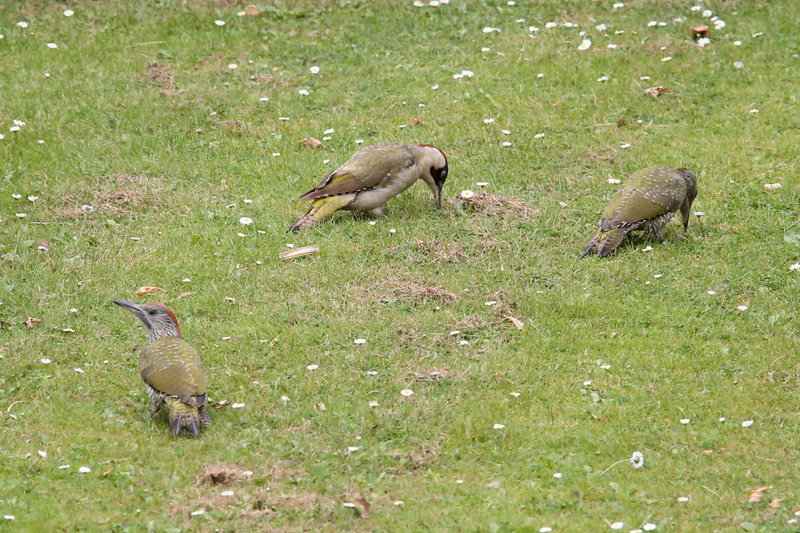 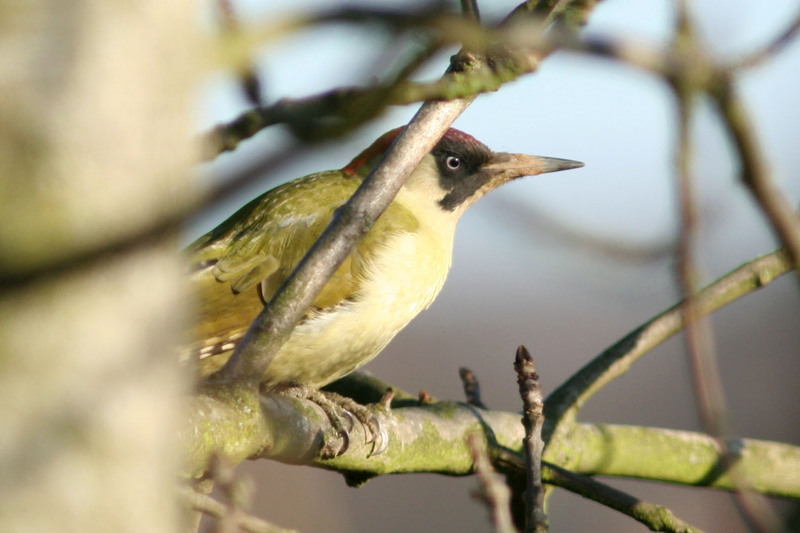 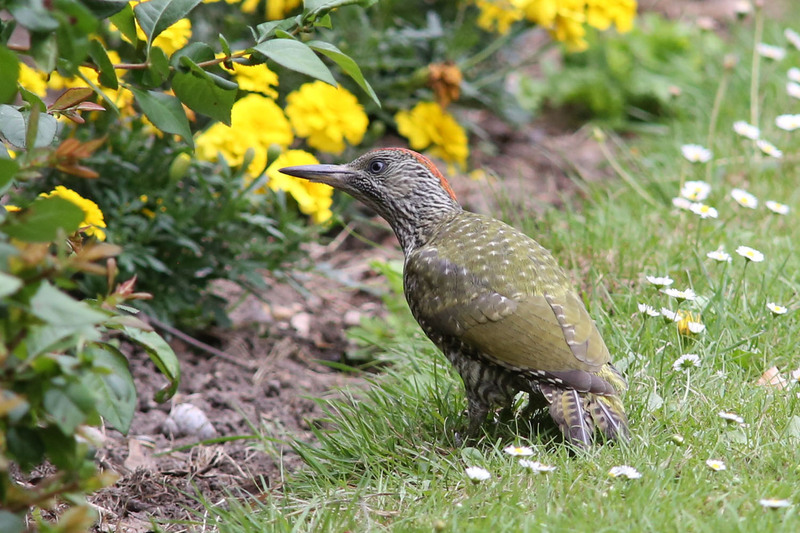 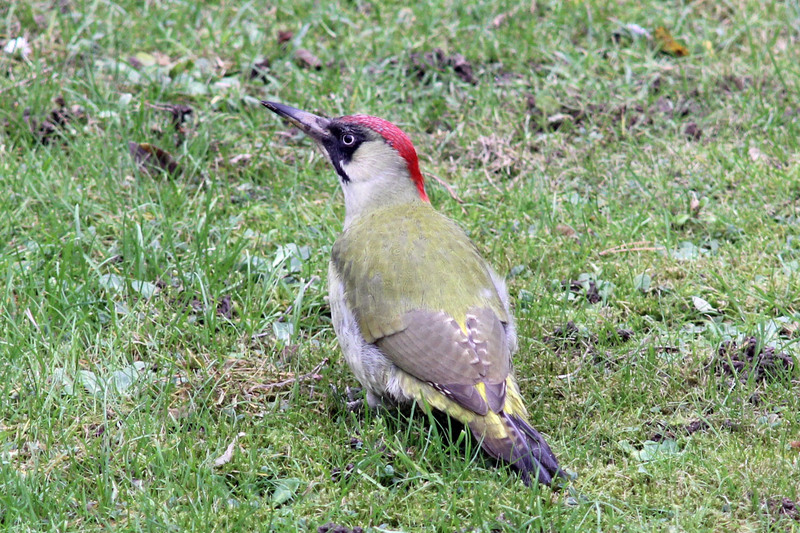 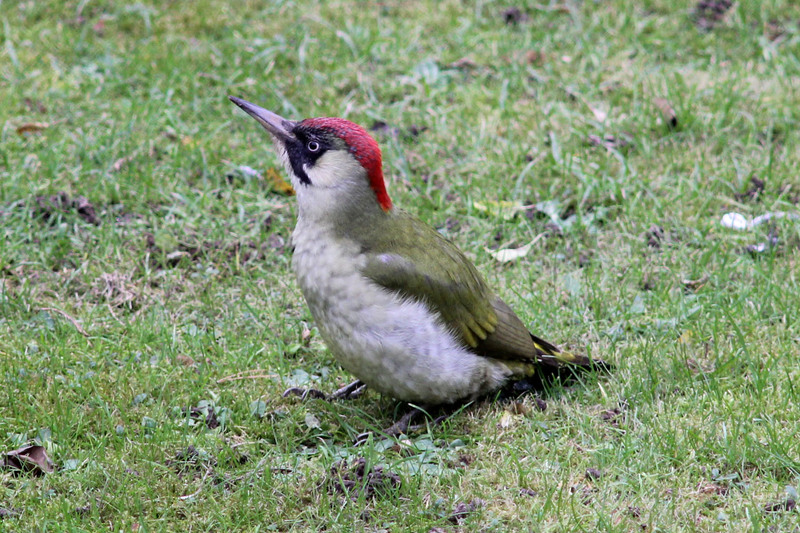 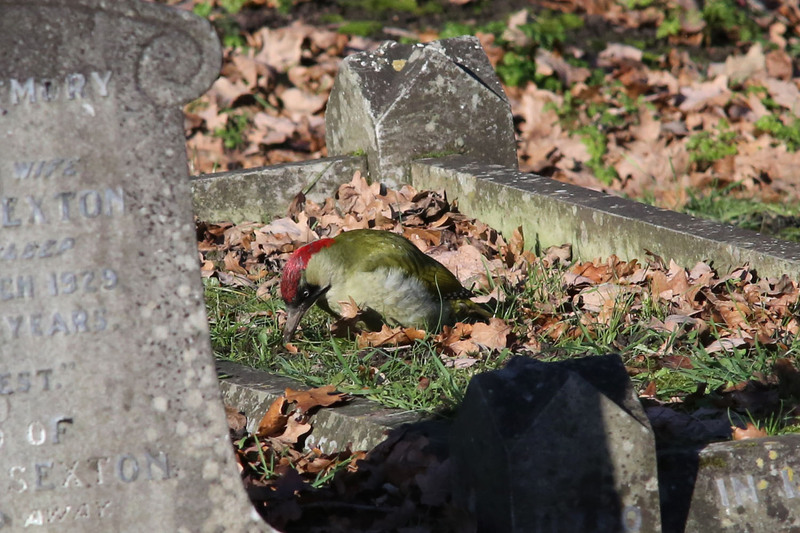 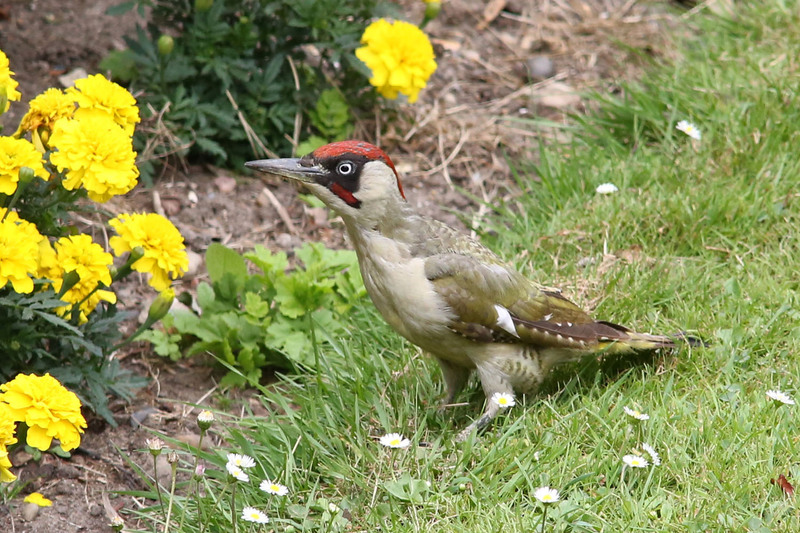 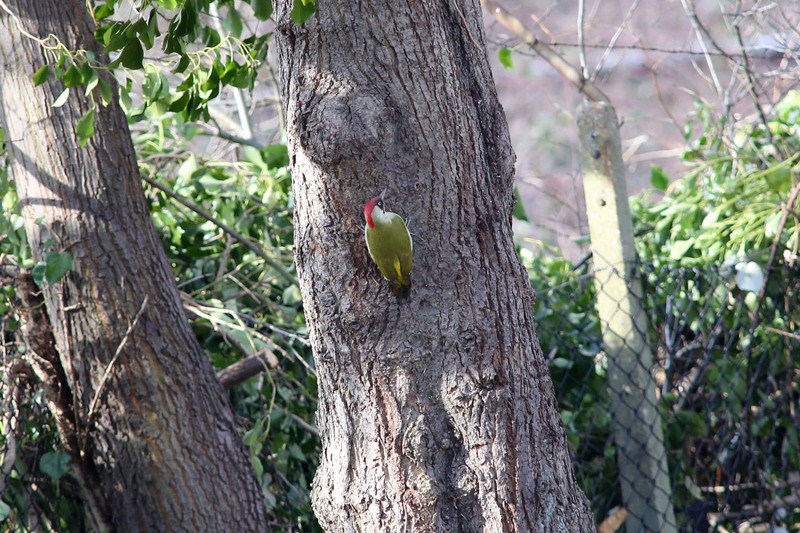 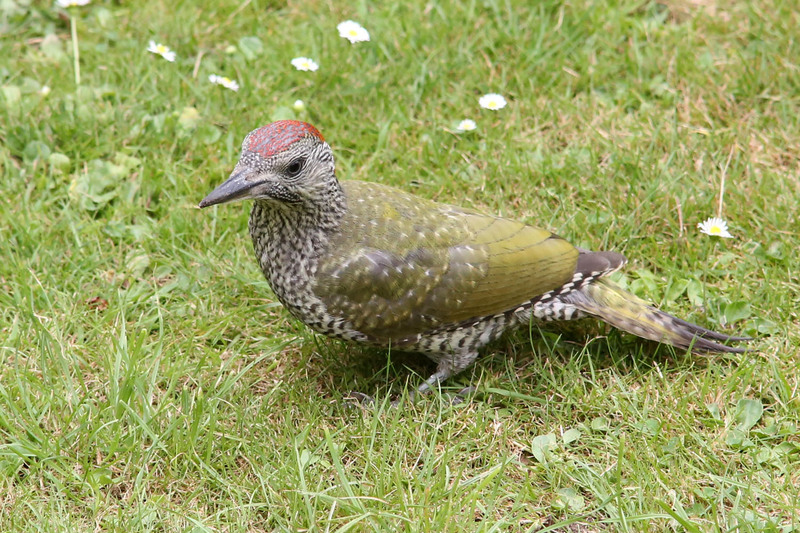 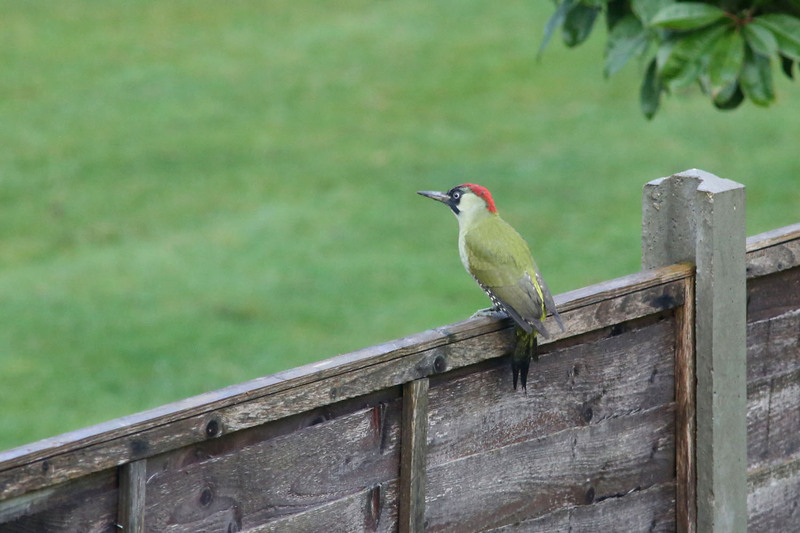 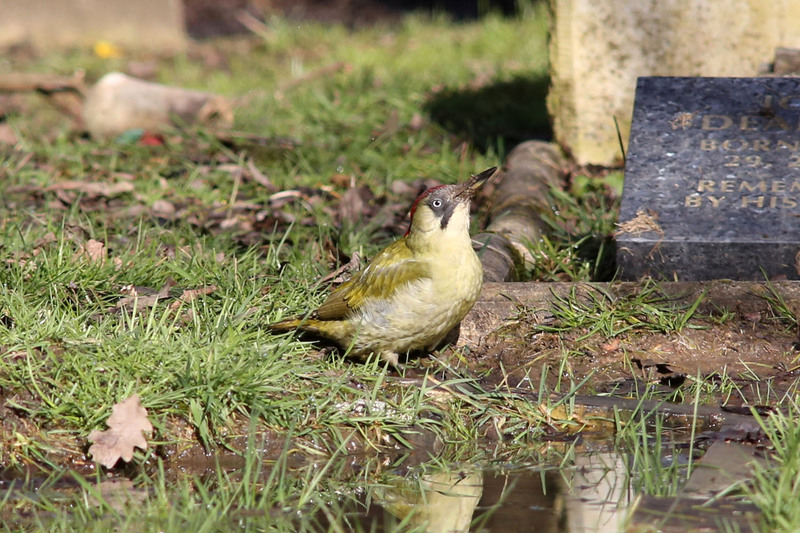 The Green Woodpecker is a fairly common bird, but not as common in our gardens as the Great Spotted Woodpecker. 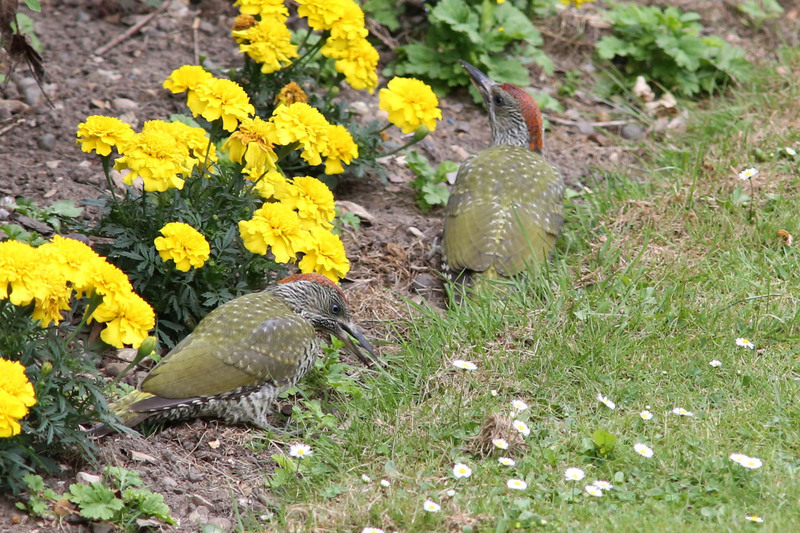 Males and females are similar but differ in that the male has an additional patch of red to the side of his head. 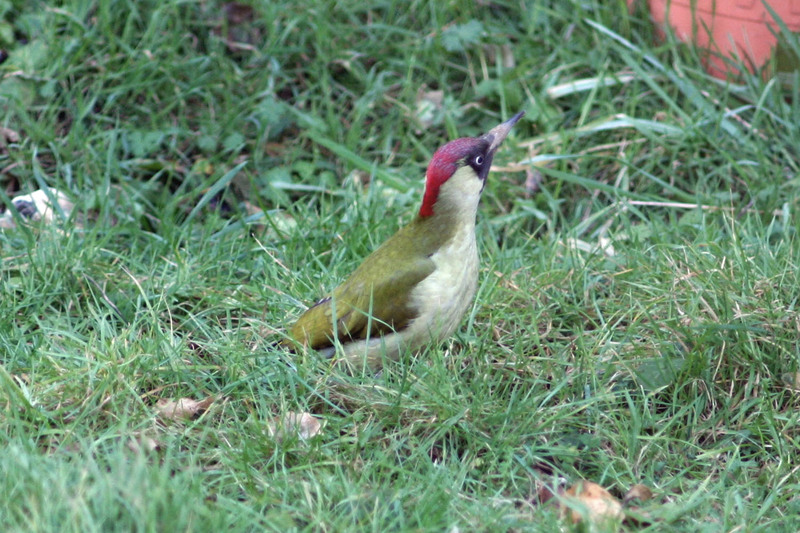 A Green Woodpecker probing for a meal in the garden.